What's Behind Indiana's High Rates Of Maternal And Infant Mortality In Communities Of Color? A panel of experts discussed Indiana's high rate of maternal and infant mortality, particularly among communities of color, at WFYI's studios on Dec. 11. 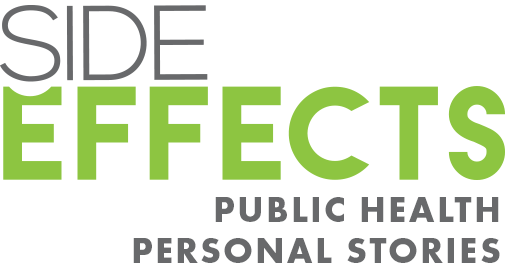 On Tuesday, Dec. 11, Side Effects Public Media, the Indianapolis Recorder and the Indiana Minority Health Coalition hosted a conversation on how maternal and infant mortality disproportionately impacts communities of color in Indiana. The panel discussion, moderated by Indianapolis Recorder Editor Oseye Boyd, included Dr. Kristina Box, state health commissioner for the Indiana Department of Health; Bianca Wilson-Gillespie, a mother, advocate and doula in training; Dr. Indy Lane, an obstetrician-gynecologist with Community Health Network; and Ashley Rainey, a nurse and clinical educator in labor and delivery. Ceera Moseby is a first-time mom and due early next year. Her pregnancy has been smooth so far. Still, the young, healthy Indianapolis woman has cause for concern. “Me being a black woman, I am higher risk for death in that hospital," the 20-year-old said.